Don’t even try to respond to this killer smash! 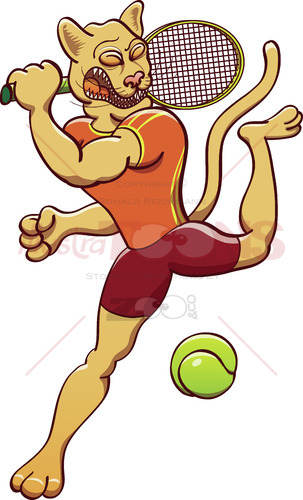 Vector image featuring a puma smashing a tennis ball. Strong puma wearing orange shirt and brown shorts, showing prominent muscles and expressing a determined mood, while making a big effort to perform a killer smash while playing tennis.